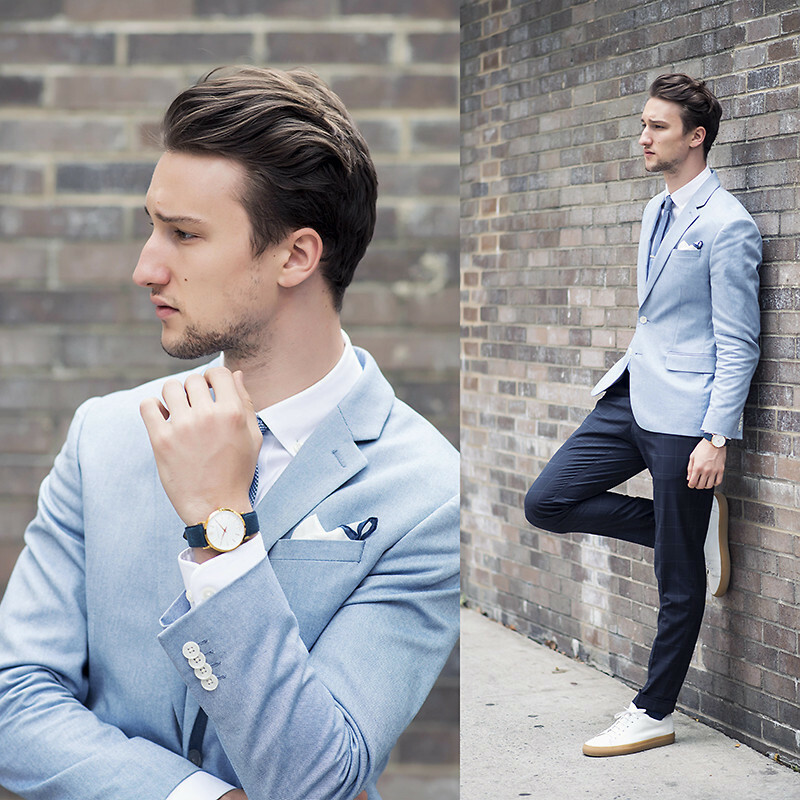 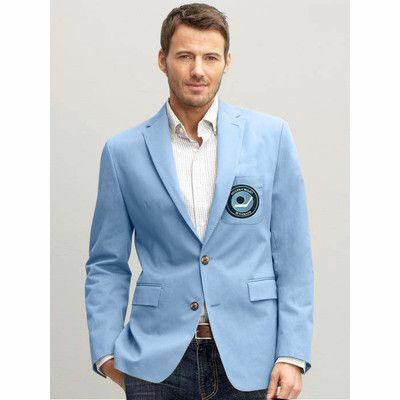 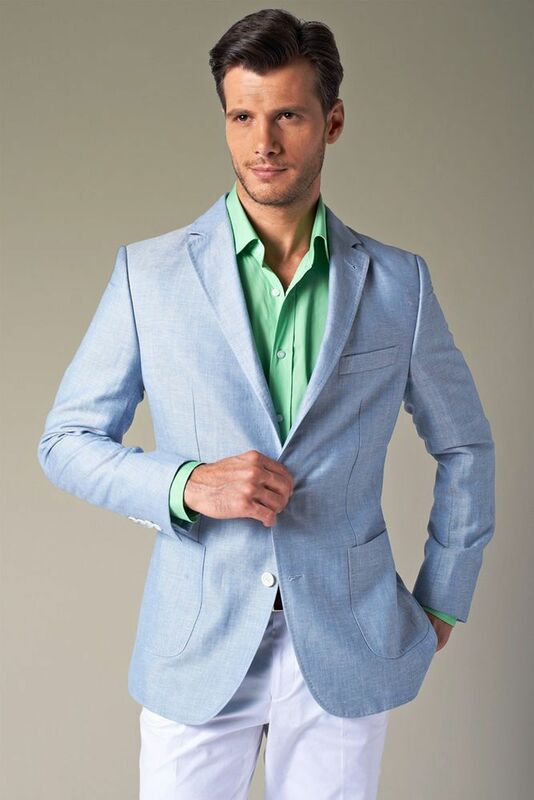 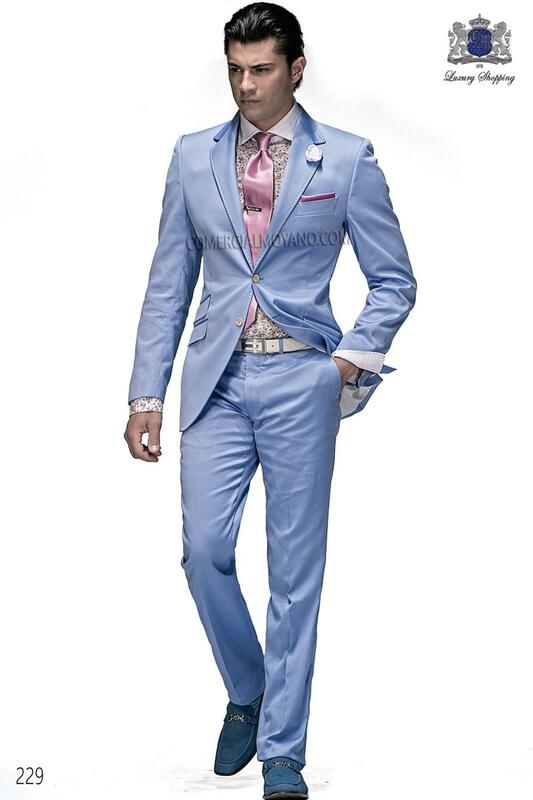 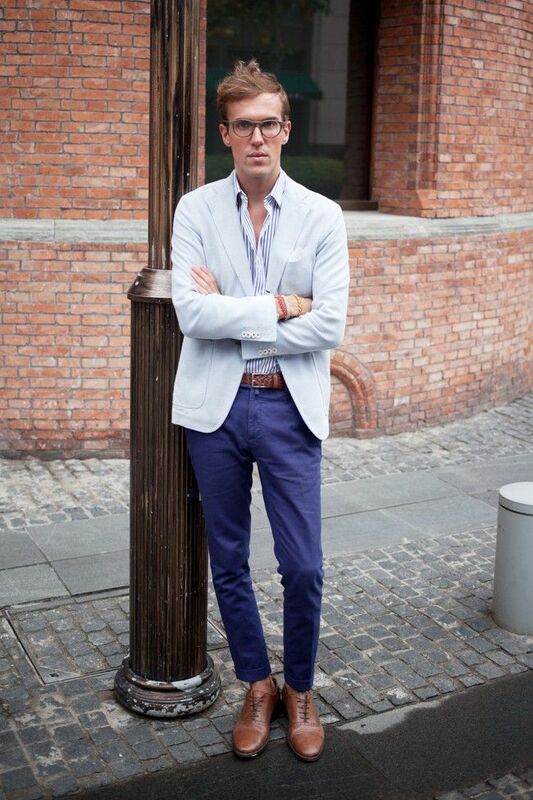 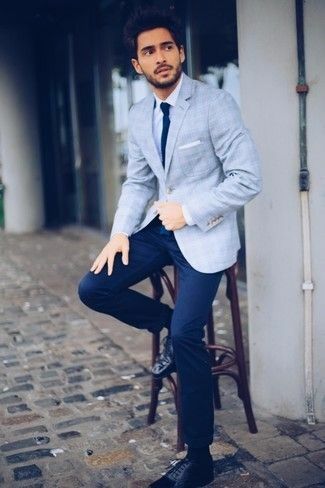 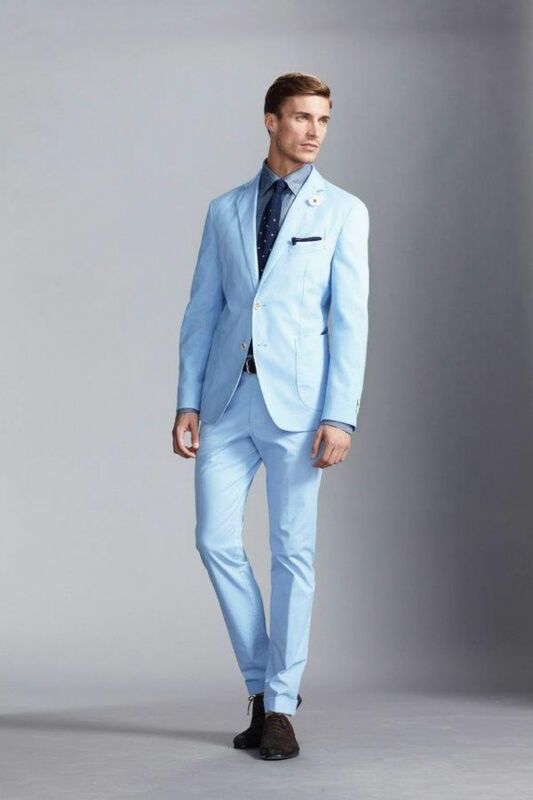 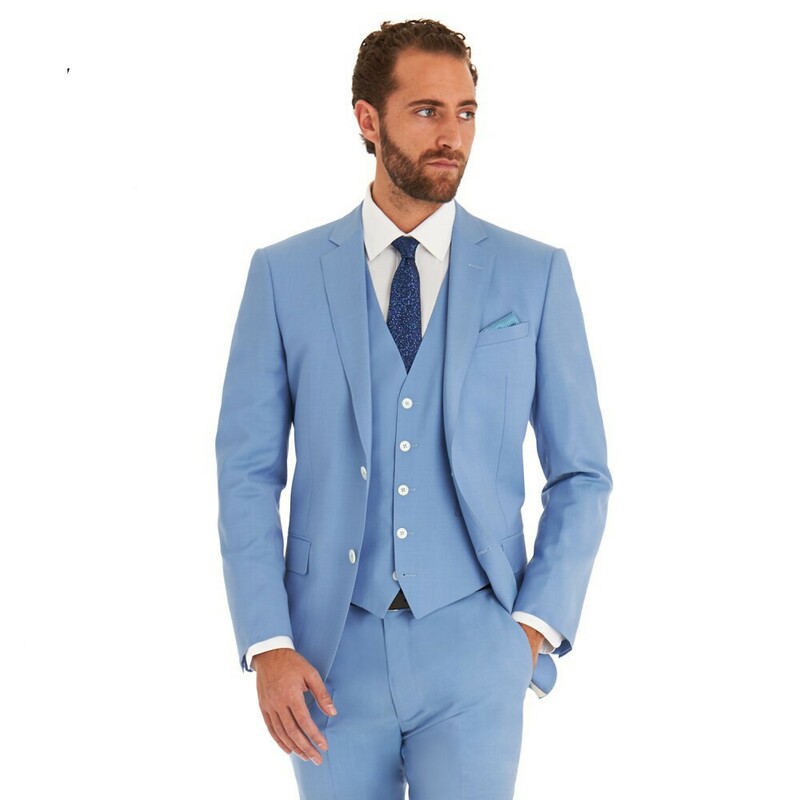 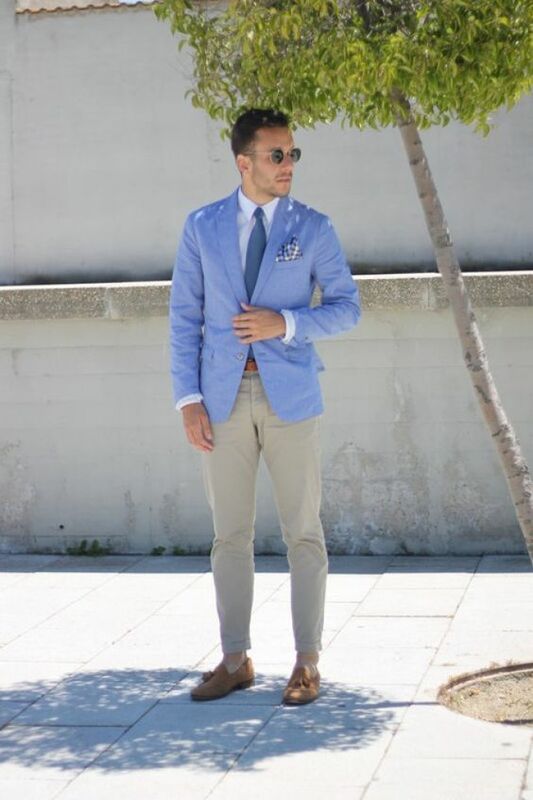 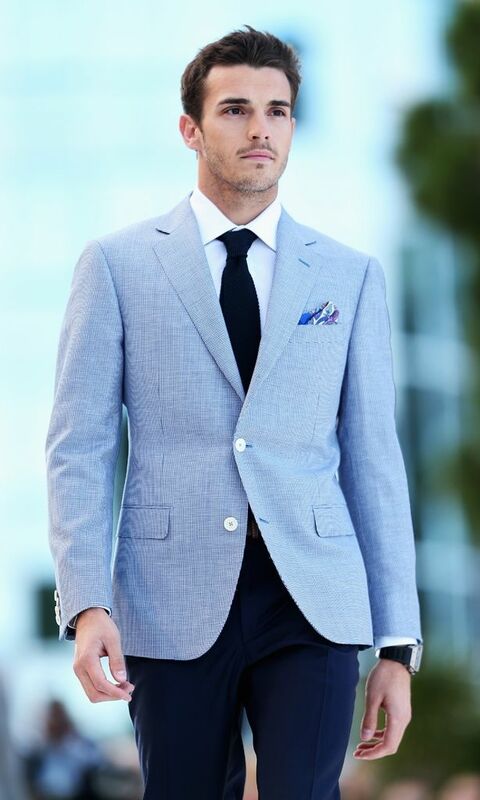 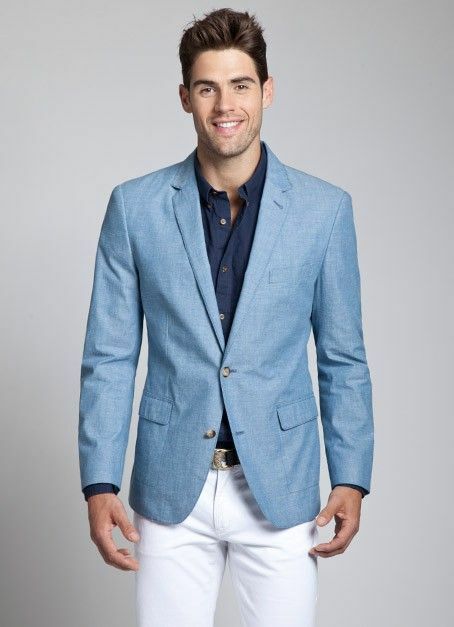 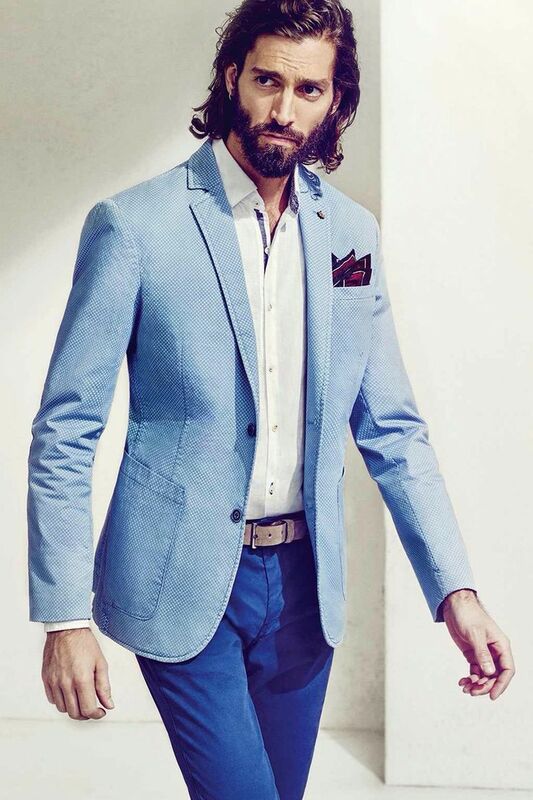 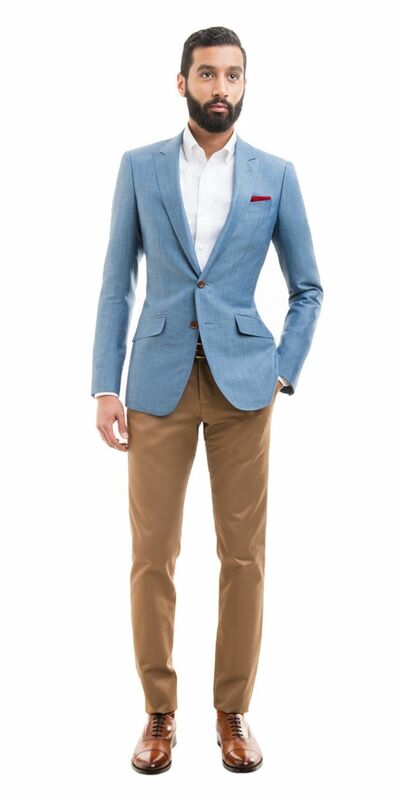 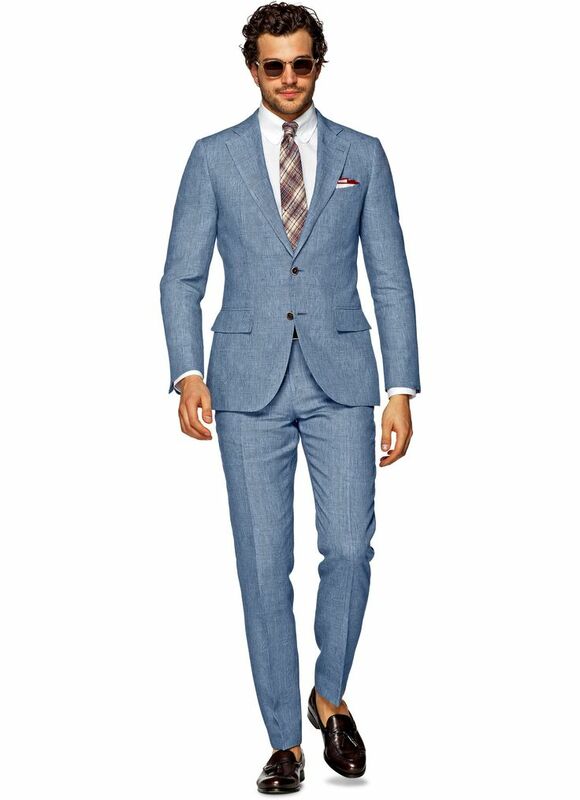 A baby blue blazer jacket and light blue dress pants will showcase your sartorial self. 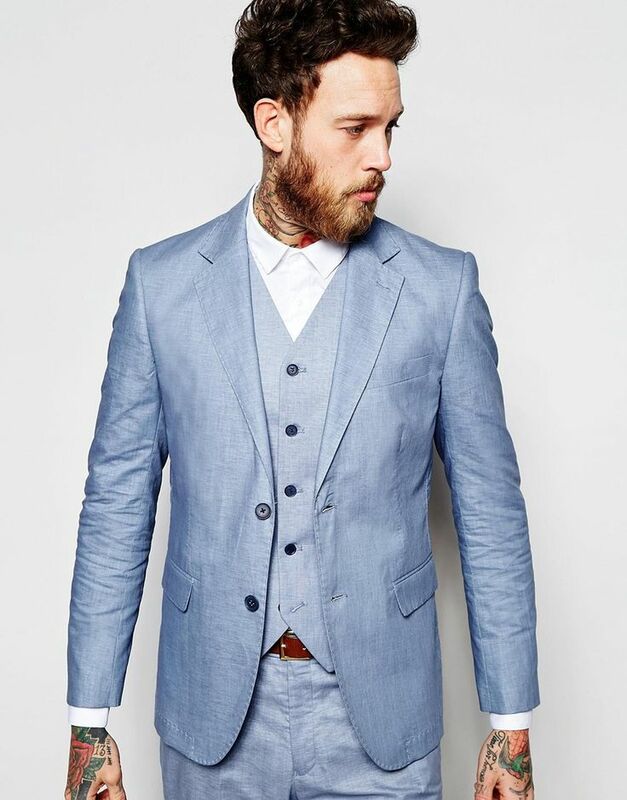 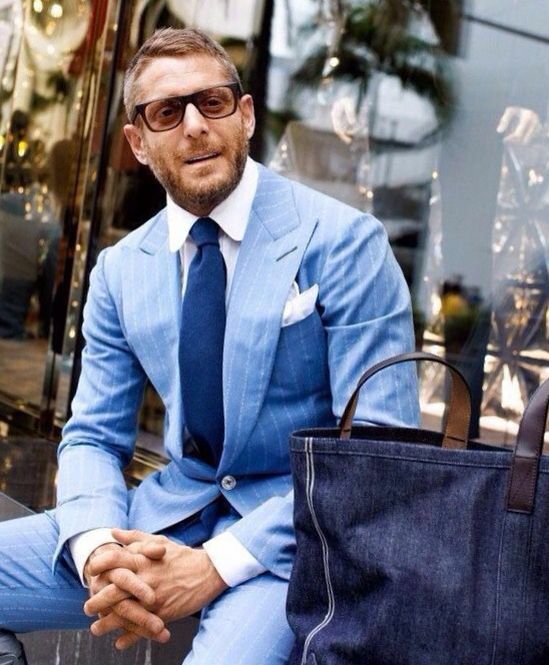 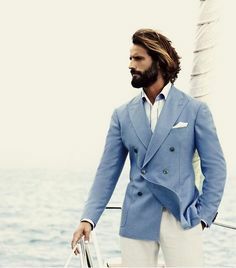 Light Blue Linen/Cotton Suit with Peaked Lapels. 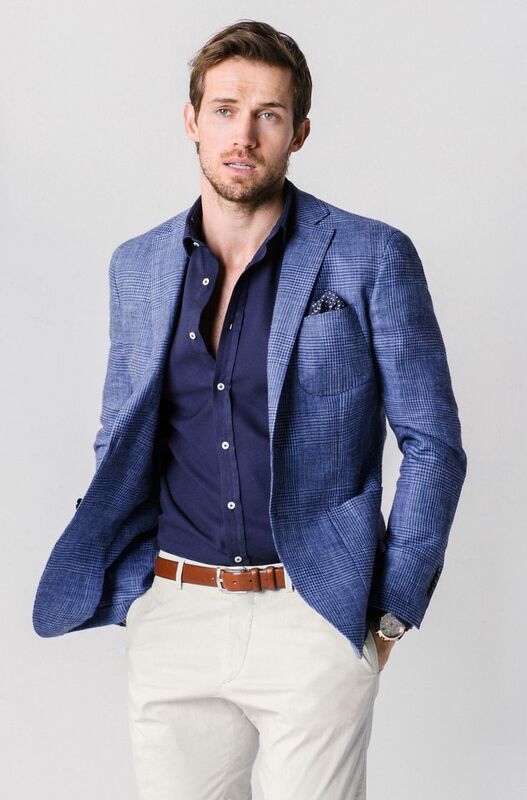 Mens Spring Summer Fashion.